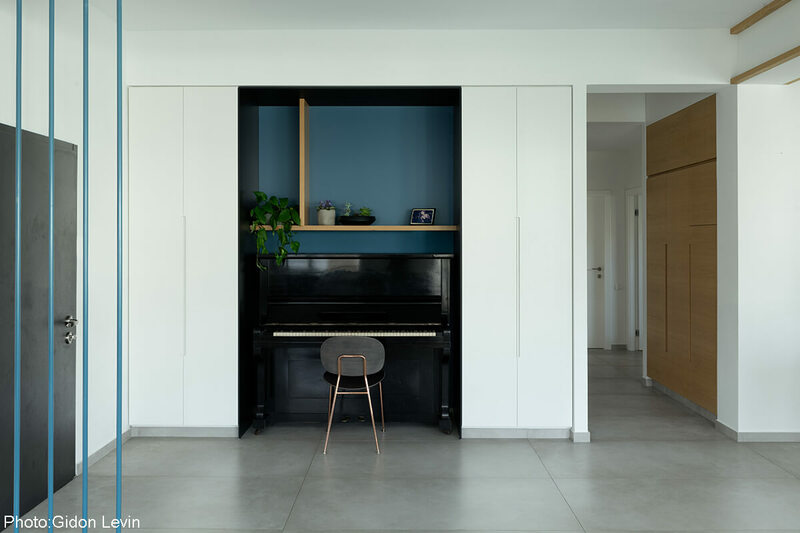 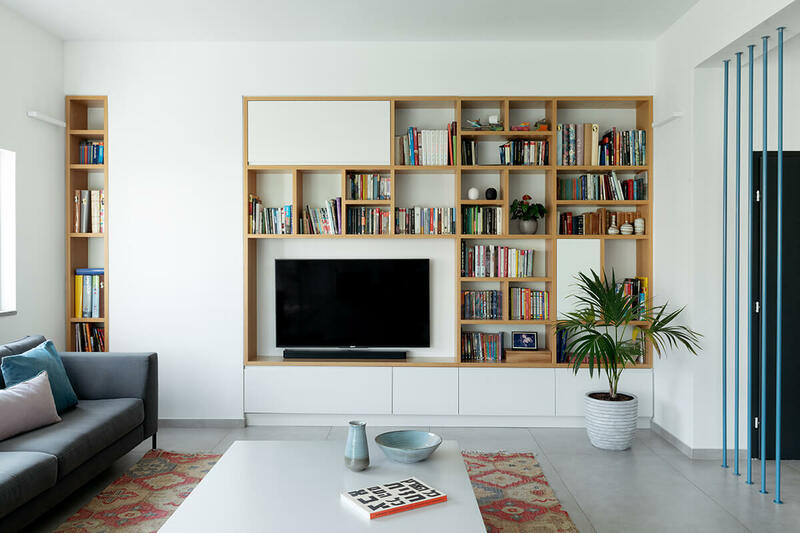 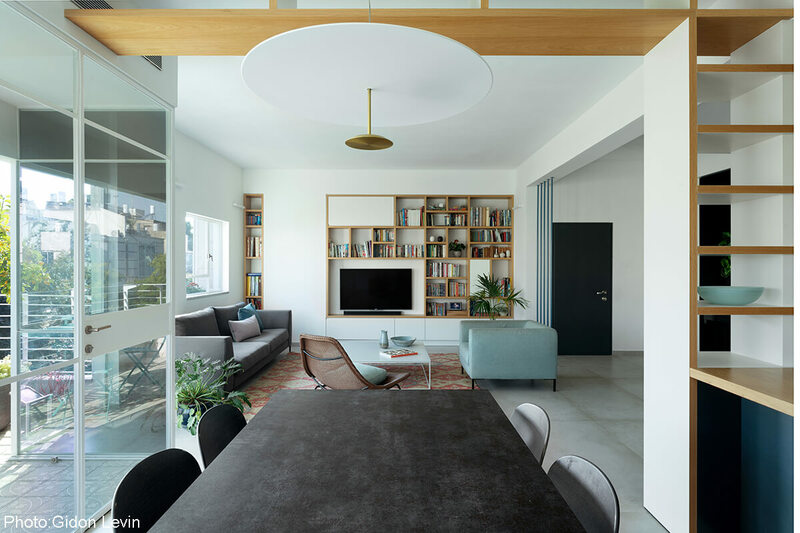 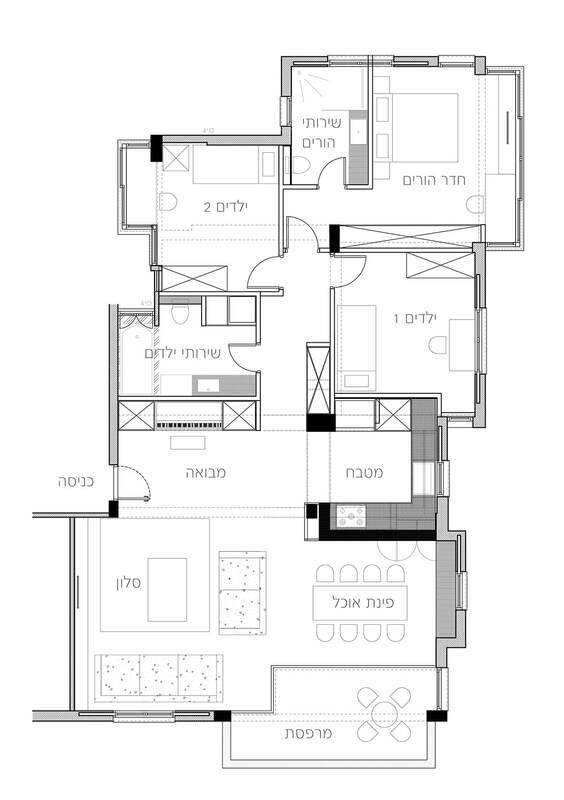 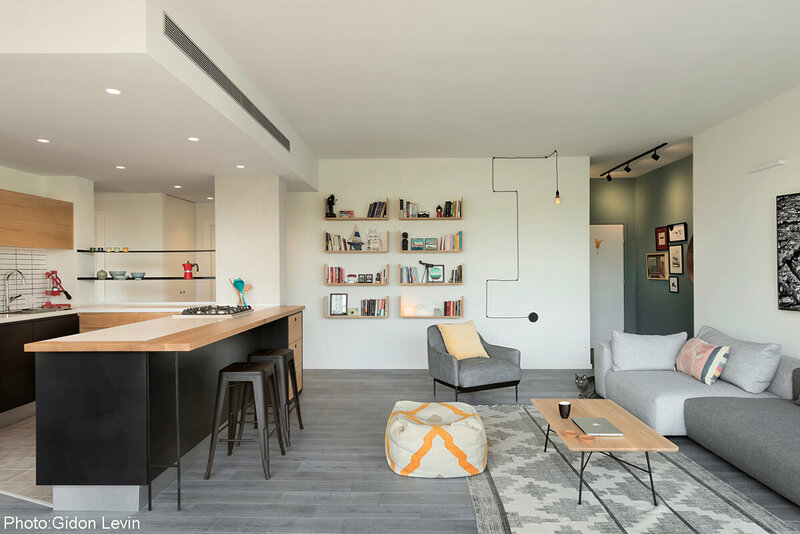 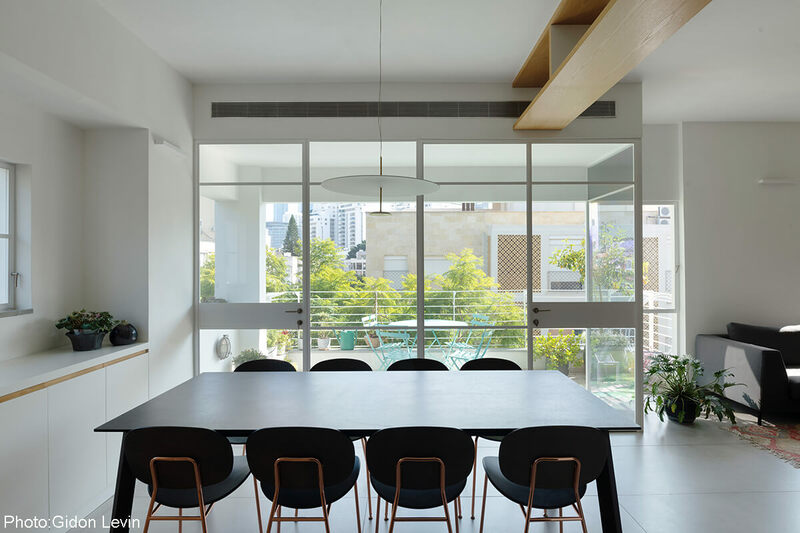 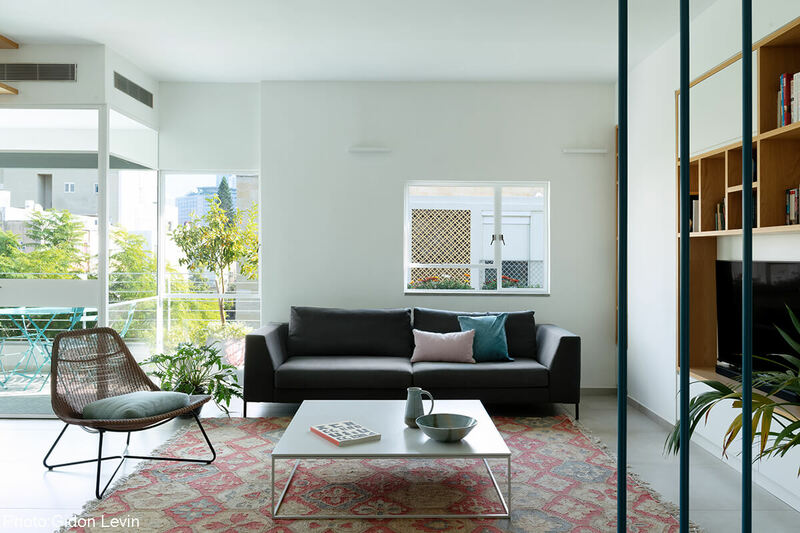 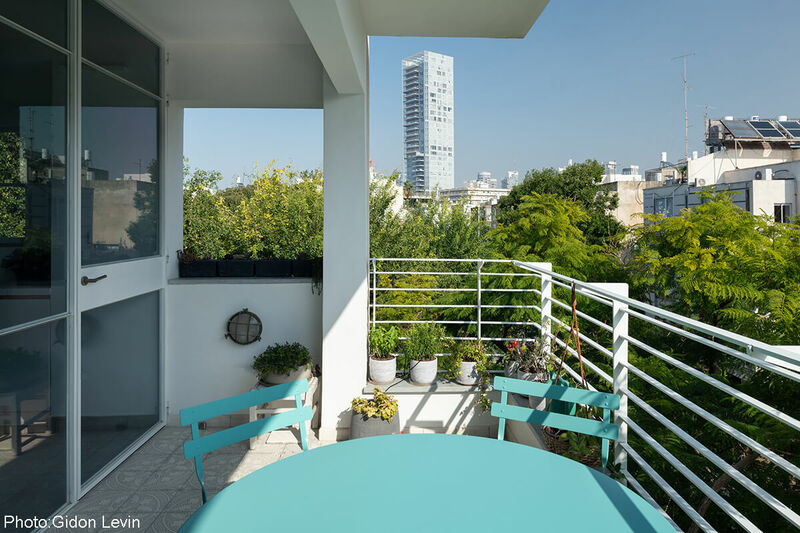 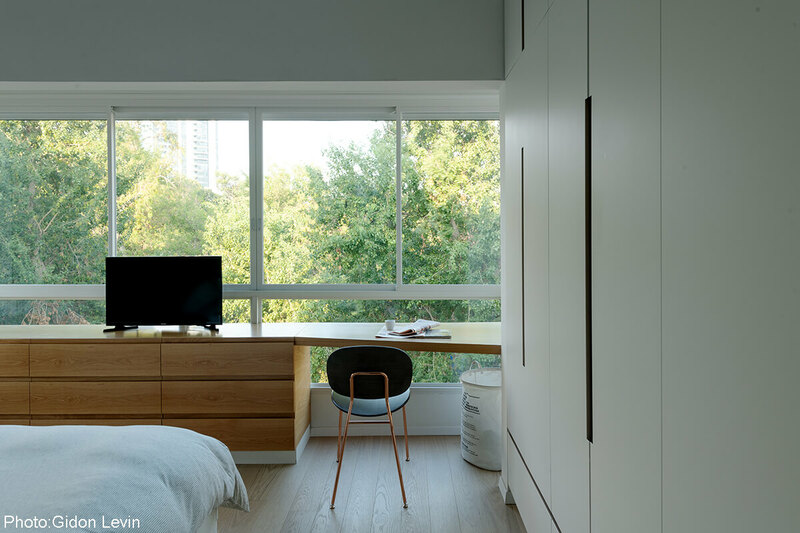 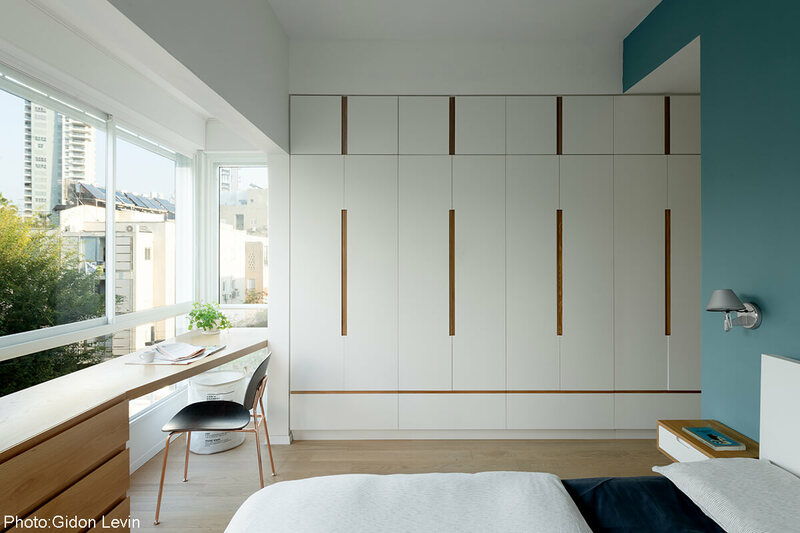 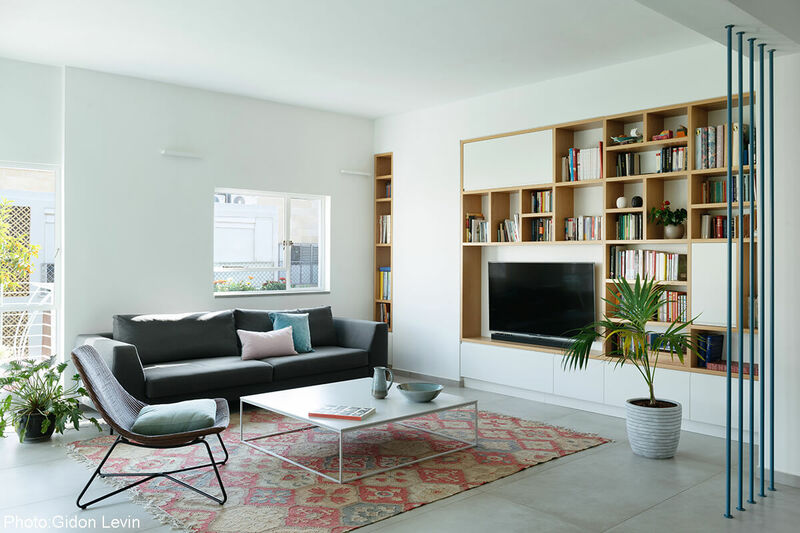 Renovation of existing apartment on Rembrandt street, Tel-Aviv of 150 sqm. 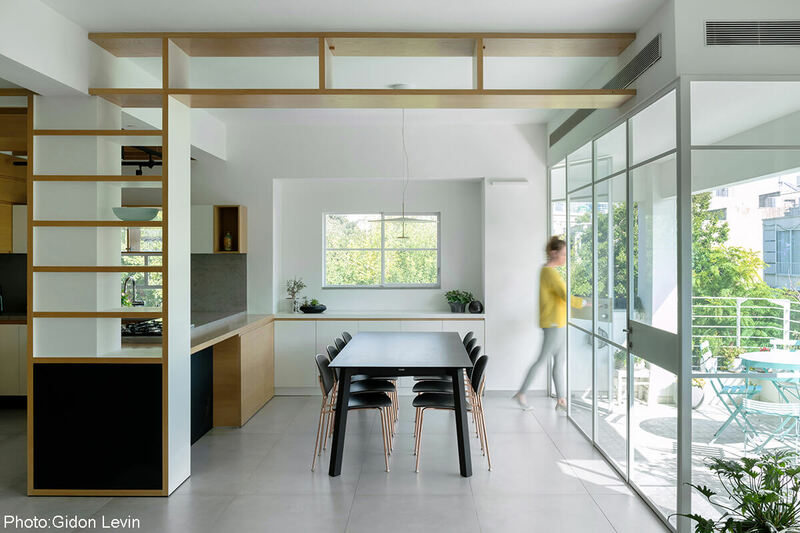 Perched on the top floor, the apartment, similarly to a treehouse, overlooks treetops and a neighbouring park. 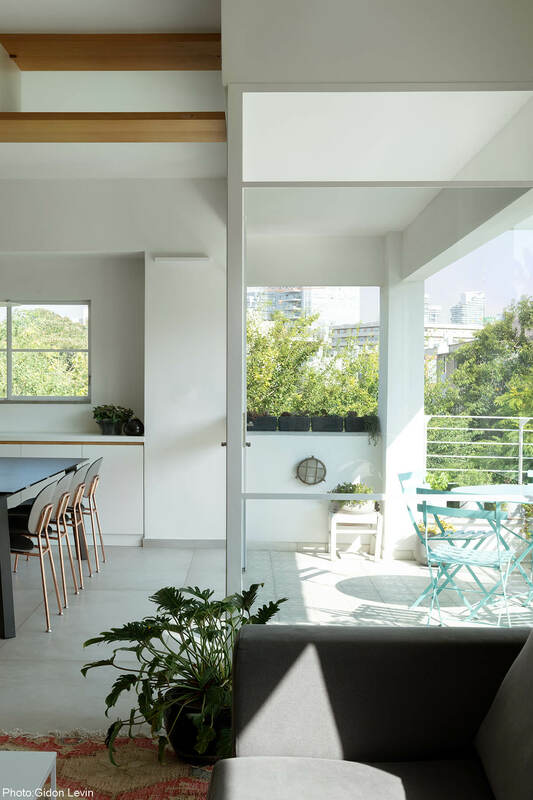 The enlargement of the apertures with iron windows and the access to the terrace helped create an open space to allow maximum penetration of light and greenery, thus framing the picturesque view and giving a sense of outdoor living. 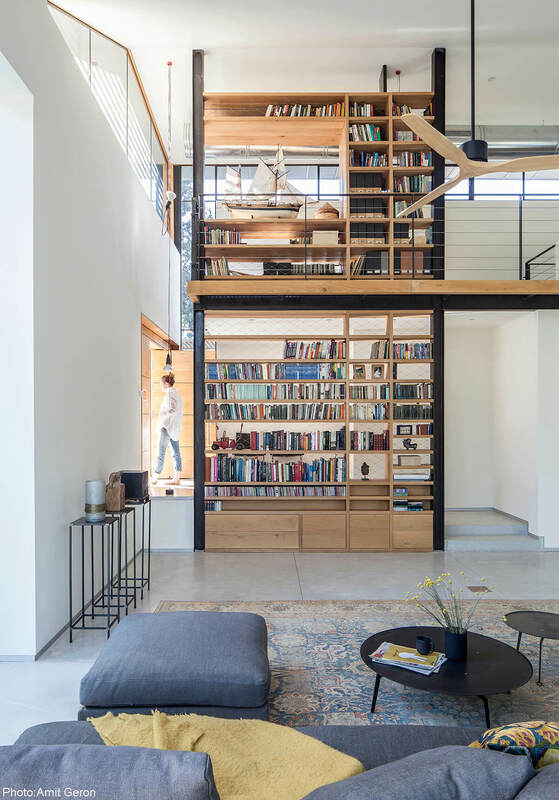 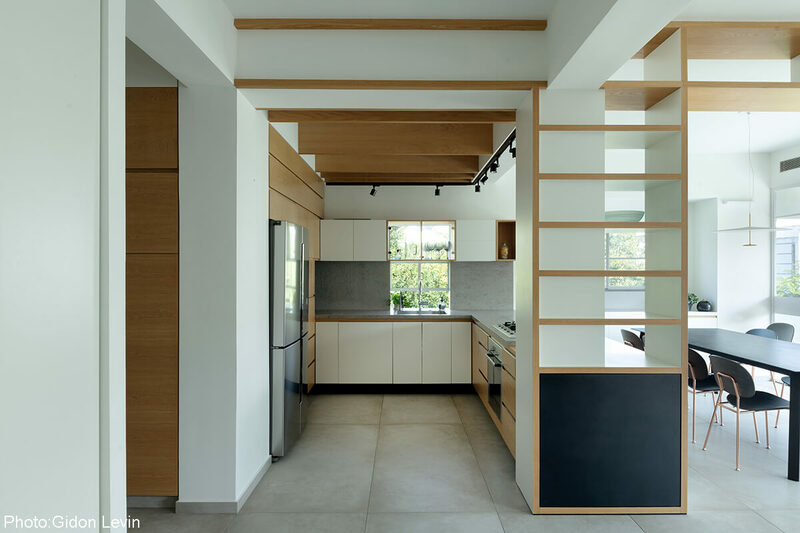 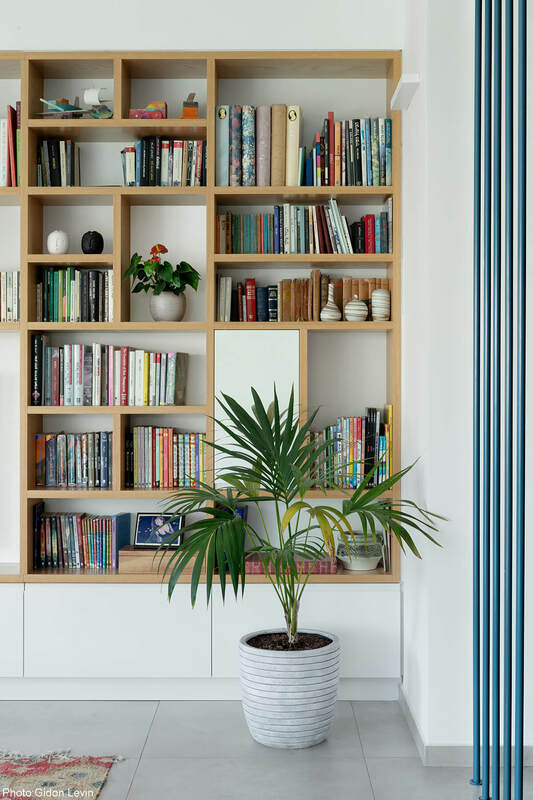 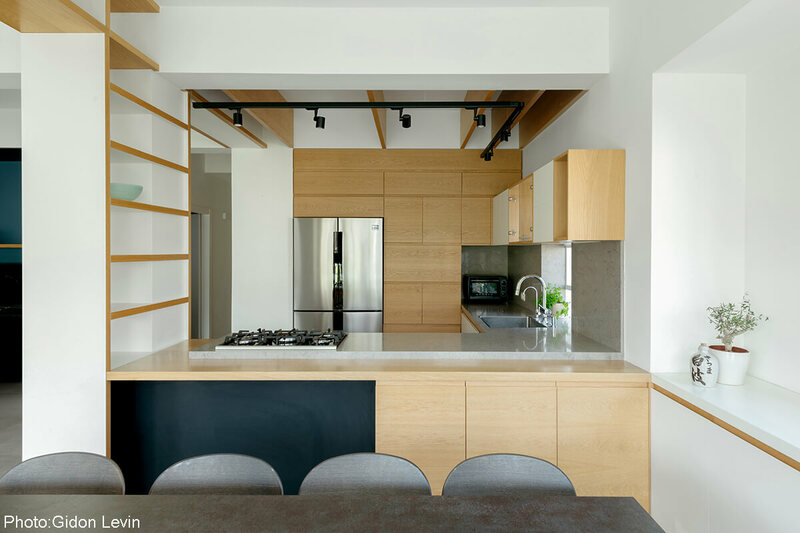 Natural materials were incorporated such as a concrete floor, a custom-made kitchen design, and a library made of a mixture of natural oak and painted black and white wood. 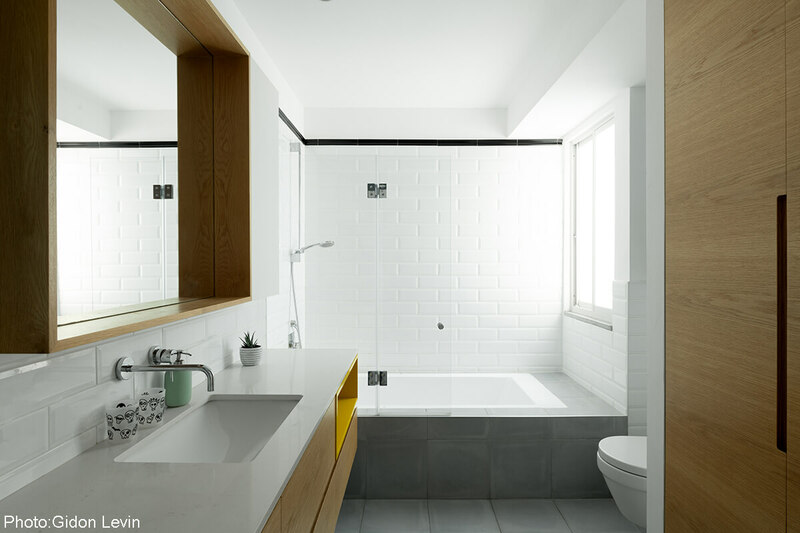 The master bedroom overlooks the park and has its own adjacent private bathroom with a tiled hexagon floor. 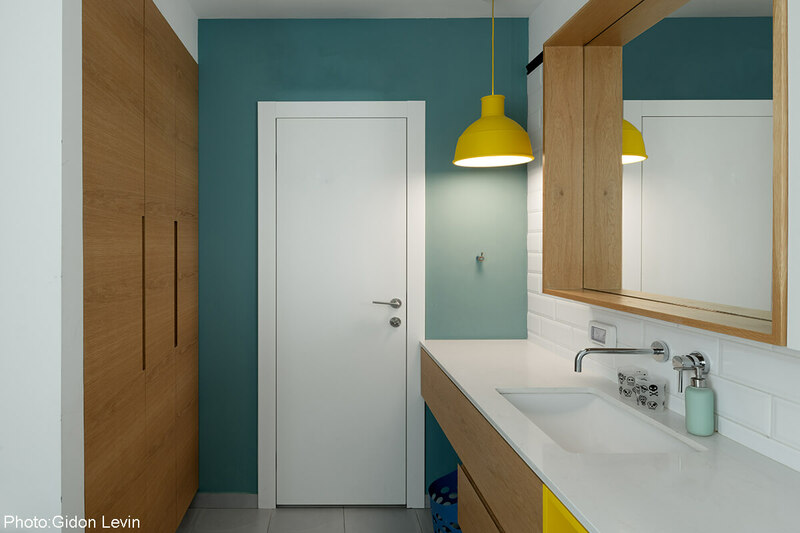 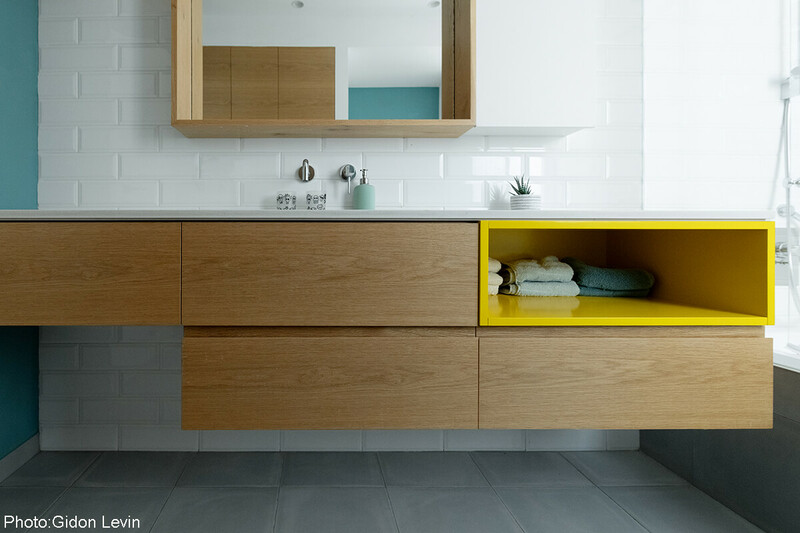 The children’s room, similarly to the children’s bathroom design, is more colourful and cheerful.